This is the way to erase all data on Motorola Milestone, such as Google Account, Contact, SMS, application and it settings. After LCD light is on, than release the button, then we will see the Bootloader version at top of LCD. When will We Need to Factory Reset Motorola Milestone ? Motorola Milestone need to be hard reset to factory default when we can not access anything at this phone, or the phone going so slow or some unusual problem happen at our Motorola Milestone. Please remember to always backup your data before doing Hard Reset. Some problem come with power button not function to turn on, or the keyboard can not use in the right way. 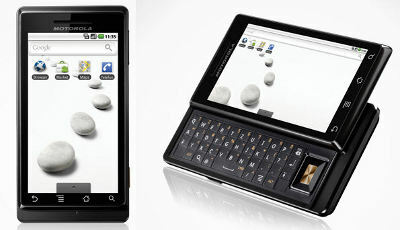 The information from this page describe about hard reset motorola milestone. If you need another resource for hard reset, use search function at this homepage or find from our related posts. How to Easily Master Format LENOVO PHAB2 (PLUS/PRO) with Safety Hard Reset? How to Easily Master Format SAMSUNG GALAXY NOTE FE (N935S/N935K/N935L) with Safety Hard Reset? How to Easily Master Format MOTOROLA MOTO X STYLE (XT1572) / MOTO X PURE with Safety Hard Reset?